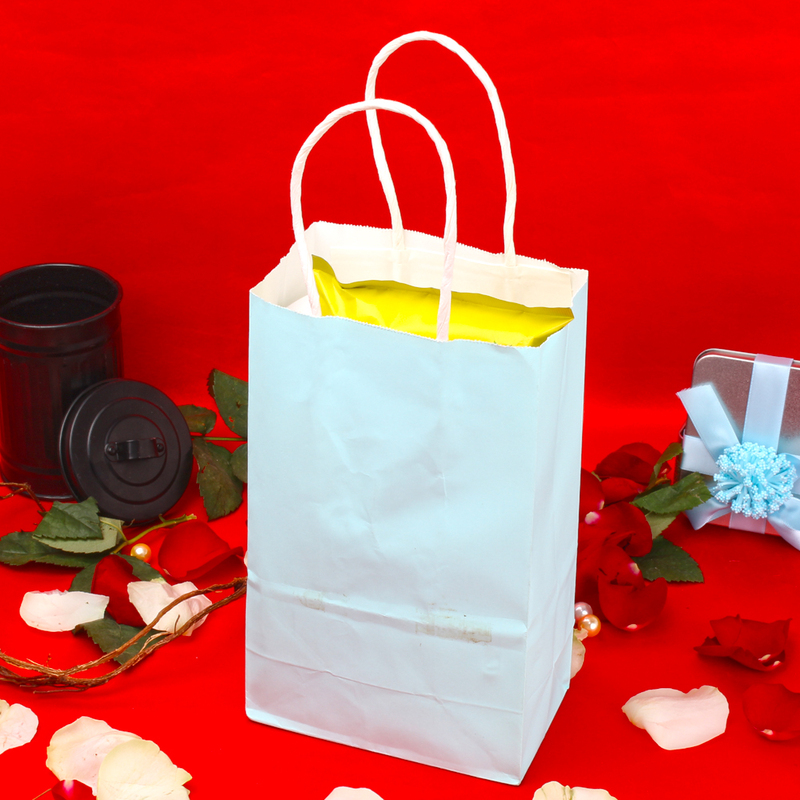 Product Consists : Bio Care SPA Body Care Shea Butter Body Lotion (Weight : 500 ml), Gem Blue Facial Peel-Off Lemon Mask (Weight : 500 ml), London Refreshing Facial 25 Lemon Wipes altogether arranged in a Bag. 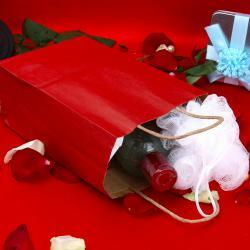 Grooming has become a required part of our everyday schedule as everyone wants to look presentable and stylish. 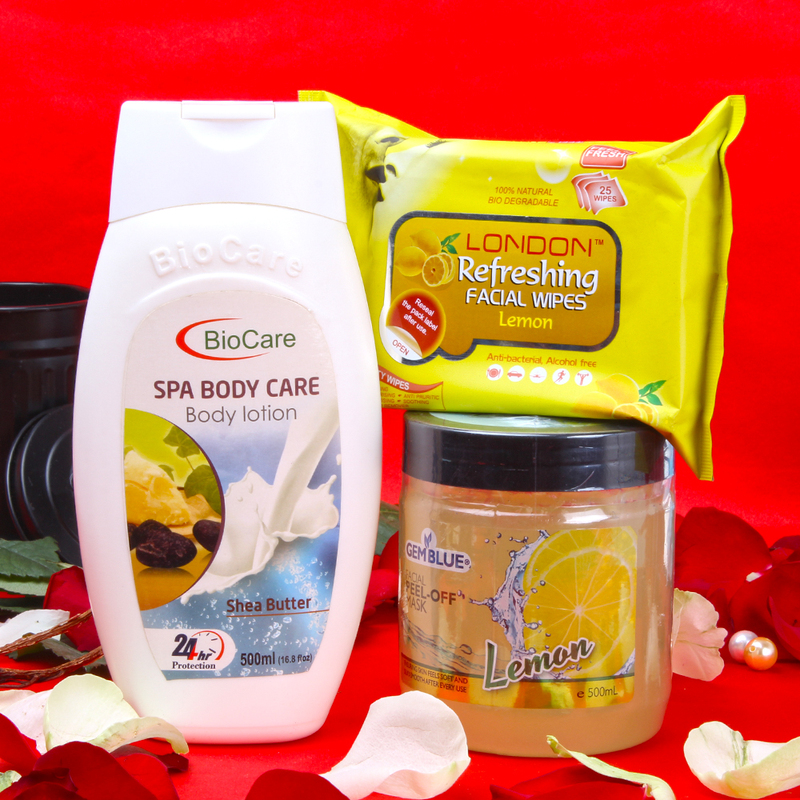 Have a look at this Amazing modern and stylish Grooming combo set it will always remains the best beauty attachment token for your beloved to maintaining a healthy body skin with extra care efforts.Bio Care Spa Body Care Body Lotion Shea Butter is protects, heal and rejuvenate your skin. These lotions are renewned for their healing and moisturizing properties because shea butter provides deep rehydration, and it also protects your body from the harshness of the summer sun and the dying effects of winter. 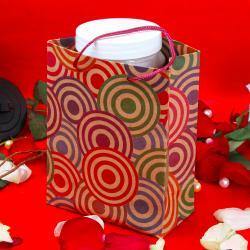 Shea Butter body lotion rehydrate and moisturize your body skin and keep it soft, smooth and healthy (Weight : 500 ml). Gem Blue Facial Peel-Off Mask with Lemon and rosemary. Removes impurities and dead cells. feel th coolness on your skin and get an even tone and without glare. The Hight astringent capacity of thelemon helps to regulate the levels of oil and thus fight against acne, pimples or darkheads. Rosemary is stimulant, regenerative and the perfect cleansing complements (Weight : 500 ml). 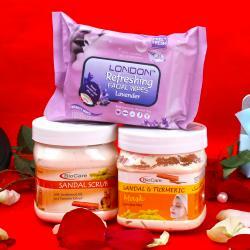 London Refreshing Facial Wipes Lemon is 100% Natural Bio Degradable. It is made up of Spun Lace nonwoven fabric its thick, soft and smooth. Enriched with Aloevera, gently cleanse and eradicte dust. 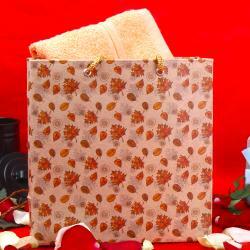 Gives a New fresh look to your skin and made you feel clean and hygiene, this altogether arranged in a Bag. Buy an ideal with quality grooming products from our website and make your online shopping experience an enjoyable one as you can get exciting hampers with unique combination of products range as well.